The 2nd Annual NERDS GONE BOWLING! – a benefit for Variety – the Children’s Charity of Buffalo & WNY! 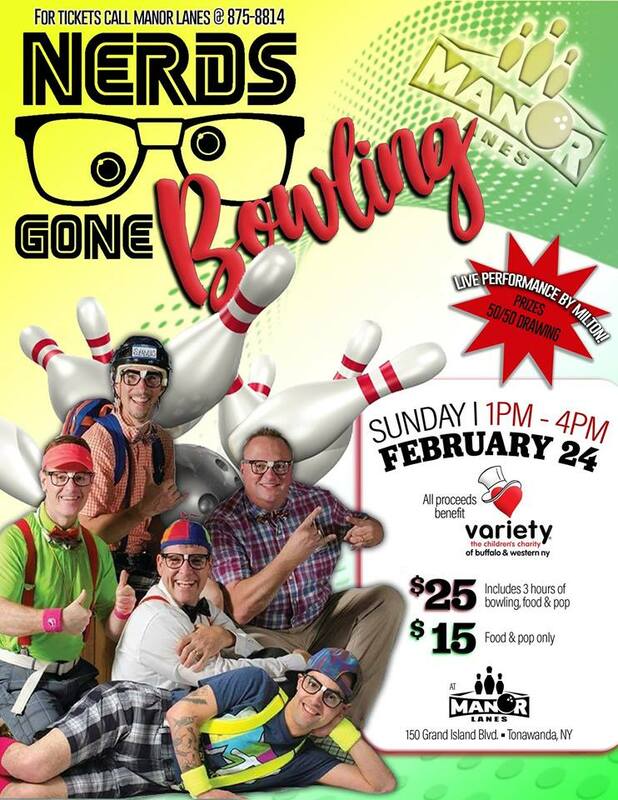 is on Sunday, February 24 from 1pm – 4pm at Manor Lanes. Bowl with the NERDS at Manor Lanes, listen to great music, food, pop, prizes, 50/50 drawing, and a LIVE SOLO ACOUSTIC performance by Milton Wild! Tickets are $25 (bowling/food/pop), or $15 (food/pop). All proceeds benefit Variety! Contact Manor Lanes today for tickets at (716) 875-8814!